My interest in music began in infant school when I wanted to learn the piano like my mum had. Unfortunately I was unable to get lessons due to not having an instrument - which was probably a good thing. A piano was too expensive, but I still wanted to learn something so my mum said that the clarinet was a really nice instrument. I began to learn the clarinet at the age of nine and it has since remained my favourite instrument. At the age of twelve I began clarinet lessons with Spencer Bundy who has been my most influential teacher to date. He encouraged me to take up the saxophone at the age of sixteen and got me my first paid job playing in Cole Porter's Anything Goes on the clarinet and alto saxophone. While the clarinet was my favourite instrument I still wanted to learn the piano and when I was eleven my parents bought an electric piano. I began to teach myself and eventually managed to get school piano lessons by the time I was thirteen. I have also had clarinet and saxophone lessons with Paul Harvey. I have gained Grade 8 ABRSM on the clarinet, saxophone and piano. In Summer 2004 I passed the DipABRSM in Music Performance on the clarinet. In 2005 I graduated from the University of Chichester, where I studied the clarinet with Emma Alexandra, with a BA (Hons) Music degree. Since then I have remained in Bognor Regis and have been building a teaching practice within the local area. 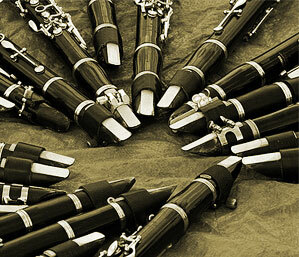 I am also the clarinet and saxophone teacher at Great Ballard School in Eartham, near Chichester. My aims are to always advance my own playing to help me both as a performer and a teacher. I perform as often as I can in various ensembles, and have consultation lessons with Paul Saunders, a West End musician who inspires me in my special interest of doubling for shows. My music qualifications and achievements are listed below.